He is qualified as Avocat au Barreau de Paris (1998) and Solicitor of England & Wales (2006) and attended Paris Sorbonne and Harvard Law School. Since 1995 Gilles has developed a complete expertise in franchising, covering contract both French and international, corporate and M&A, litigation, and the role of general counsel to franchisors. As such he has progressively grown into a seasoned deal maker and troubleshooter. Advocate of the franchise system as the best tool for economic, human and country development, he is a regular speaker at French or foreign events and writes articles. Since 2015, on the invitation of the US Government, Gilles assists the tunisian Government, in particular its competition authorities, which is pursuing a process of modernisation of its legal environment with regard to franchising and trade in general, the goal of which is to enhance international trade. This process is due to be extended throughout North Africa. On December 2, 2015, he shall be the keynote speaker at the franchise fair in Tunis. 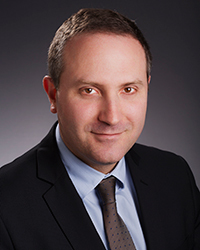 He is co-author of the French Chapter of the International Franchise Sales Laws book published by the Forum on Franchising of the American Bar Association, which is the definitive book on the topic, the co-editors being Andrew P. Loewinger and Michael K. Lendsey. In 2016, a second book titled Fundamentals of Franchising in Europe shall be published by the Forum on Franchising for which Gilles is an author. Who’s Who Legal April 2014 Franchise Marketplace Analysis for France, refers to Gilles as “brilliant” and “one of the best lawyers in the country”, renowned for his work with both established brands and start-ups and clients value his “spot-on” counsel. He is recognized by peers and has been selected in 2010, 2011, 2013, 2014 and 2015 in the International Who’s Who of Franchise Lawyers edition of Most Highly regarded individuals. In France in 2012, 2013, 2014 and 2015, he has been selected first in the high name recognition categories, then “Excellent” of distribution and franchise law firms of the legal magazine Revue Décideurs. In 2015, he has been nomineed as one of the 30 most Highly Regarded Individuals in the world. He teaches franchise and European distribution law as adjunct professor for Masters students at the Paris Nanterre University.